A G Landscaping - Driveways/Patios/Paths, Fencing/Gates, Landscaper based in Coventry, West Midlands. AG Landscaping is a friendly family run business with over 15 years’ experience. 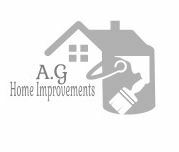 We also provide Home Improvements E.g. Interior and exterior building services. We strive to provide the highest standard of work. No job is too large or small for us to undertake. We can guarantee an expert finish and reliable service. Why not take advantage of our free quotation.